Corrosion is an issue for any metal product intended for use in offshore environments, but it is a problem that the weight-saving Alphastrut® aluminium support system has demonstrated it can cope with. It is already in use as raised access flooring, ceiling grids and associated service support systems on a number of North Sea oil and gas platforms, and has also achieved impressive results in accelerated corrosion tests, demonstrating that it has a life expectancy of at least 50 years in even these harsh conditions. 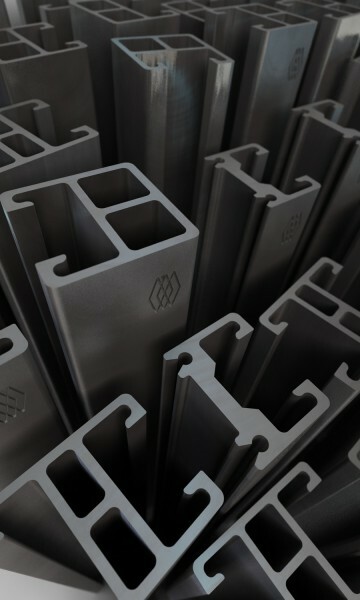 Samples of the Alphastrut system, which consists of engineered aluminium extrusions anodised to AA25 marine grade and fabricated brackets which are bolted together to create support frames, were sent to an independent United Kingdom Accreditation Service (UKAS) approved laboratory to undergo salt spray tests. An anodised Alphastrut channel after the 2,000-hour salt spray test. This type of testing recreates the conditions that can lead metals to suffer from salt corrosion-related degradation, but uses steady state exposure to accelerate the process. This allows an accurate assessment of the effects of years at sea on a material to be gained in just a few months. Samples of an anodised Alphastrut channel and grade A4 stainless steel fastening successfully completed 2,000-hour salt spray corrosion tests that met ASTM B117 and ISO 9227 standards. The results showed that the system has a minimum life expectancy of 50 years in offshore conditions and demonstrated that it has corrosion resistance equal to that of the stainless steel support frameworks that had traditionally been used on oil and gas platforms. A separate 1,000-hour accelerated corrosion test was carried out on a sample of raw Alphastrut aluminium channel and stainless steel fastening. It passed, demonstrating that it has a life expectancy of at least 25 years. It should be no surprise that Alphastrut is durable enough to cope with the offshore environment, as although the design of the support system is a genuine innovation, the hard-wearing properties of aluminium are well known. In the past, the material has been used for helidecks, gangways and stair towers on oil platforms, as well as for components on supply vessels and offshore wind turbines. A raw Alphastrut aluminium channel after undergoing the 1,000-hour accelerated corrosion test. As aluminium benefits from such a high-level of corrosion resistance in offshore environments, it is easy to maintain. Support grids constructed from it will not need to be repaired or replaced due to corrosion, and as they do not require a surface coating, there will never be any need for paint inspections or repainting. The same qualities make it a good choice for onshore corrosive environments, such as chemical plants and oil refineries. 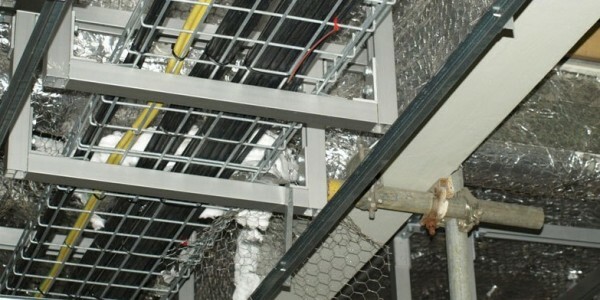 With Alphastrut possessing at least an equal level of corrosion resistance to the stainless steel support solutions that have traditionally been used on oil and gas platforms, architects and rig builders can confidently concentrate on comparing the practical qualities of the systems when deciding which to specify. The Alphastrut system provides a range of benefits, including that its design and the alloys used mean that its weight is only around half that of a stainless steel support grid with the same load-bearing properties, making it cheaper to transport and easier to handle. 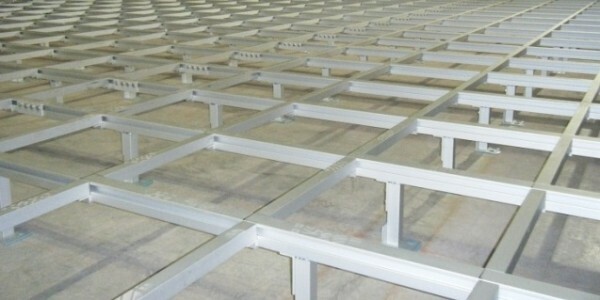 The aluminium channels simply bolt together to form support frames and no welding is required to attach services, reducing both the cost and time of installation. For more information about how Alphastrut can be used for everything from load-bearing raised access floors to ceiling grids and bulkhead supports, see our data sheets or contact us with details of your project. The Alphastrut® aluminium raised access flooring system is a versatile, load bearing and weight reducing solution perfect for use in offshore oil and gas platforms, datacentres, clean rooms, food production, chemical plants and manufacturing facilities. The Alphastrut® aluminium cable containment and support system is an easy to install, flexible and weight saving solution developed for the offshore industry, and equally effective in datacentres, manufacturing plants and clean rooms. 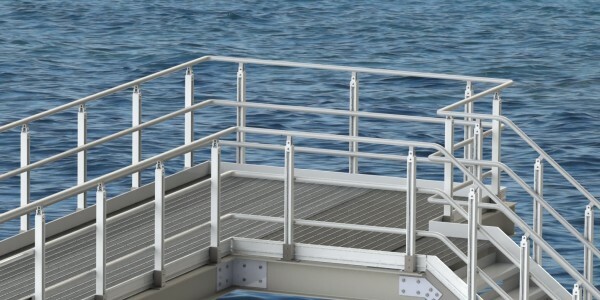 The Alphastrut® aluminium handrail system is 100% NORSOK compliant, is simple to fit in both new and retrofit installations, and can be used in offshore oil and gas platforms, marine vessels and onshore aggressive environments.